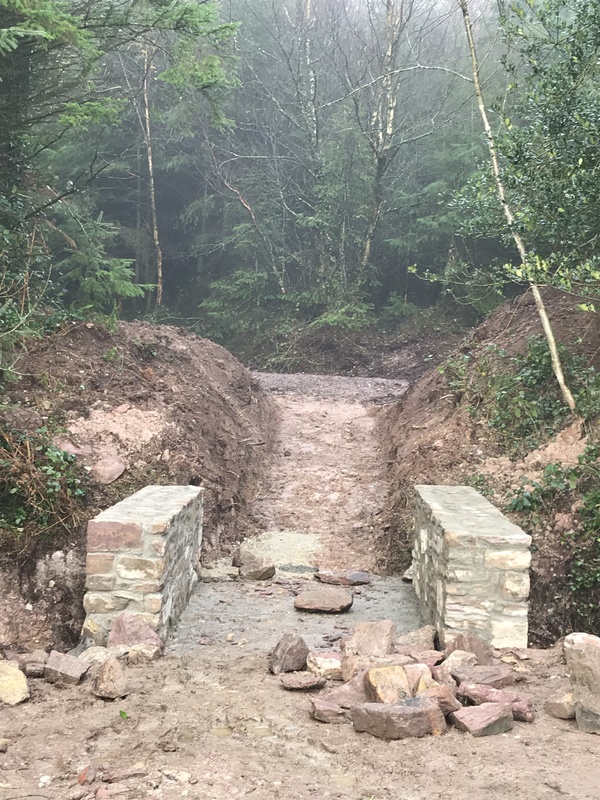 After many delays the Nature Reserve, developed by the Rathcormac Game and Wildlife Club, will officially open to the public in 2019. All paperwork is now finalised and works to complete the final phase have just started. By kind permission from Coillte we will have the use of the Corrin Cross car park and a 250 metre walkway through Coillte’s woods to access the reserve will be done shortly. The Fermoy branch of Cork county council will be constructing a pedestrian crossing and associated safety features on the road between the car park and our entrance. 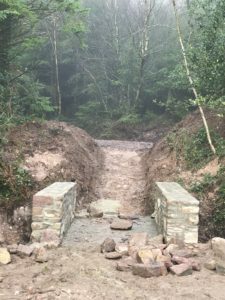 This bridge built by local builder Kevin Hogan will link the reserve with the Corrin Cross car park and also with the Corrin Hill walk. The pathway from here up through the woods will be finished early in 2019. The scenic 6-acre reserve will be landscaped to include a natural meadow, wetlands, butterfly garden, wildflower meadows, wild bird cover crops, 1,000m of walkways, tables, seating, pond, pools and observation decks, as well as a natural stream, a protected island, and a partridge rearing enclosure. A Leave No Trace Policy is in operation and expected from all visitors. Leave No Trace is an outdoor ethics programme designed to promote and inspire responsible outdoor recreation through education, research and partnerships. What it means in this instance is to take home your rubbish as we do not provide bins. Club and school visits to the Corrin Nature Reserve can be arranged, and provide an excellent way to raise awareness about Ireland’s endangered species, and the role that responsible gun clubs play in managing the environment sustainability. In the 2016 breeding season at least 3 of our 2015 released hen pheasants bred successfully in the wild on the reserve. One nested inside the large pen in the game crops and the other 2 nested in the untouched natural grasses and rushes that is absolutely overflowing with natural insect life. In 2018 there was no less than 7 clutches of wild ducks hatched on the 6 acres of this amenity along with many other species. 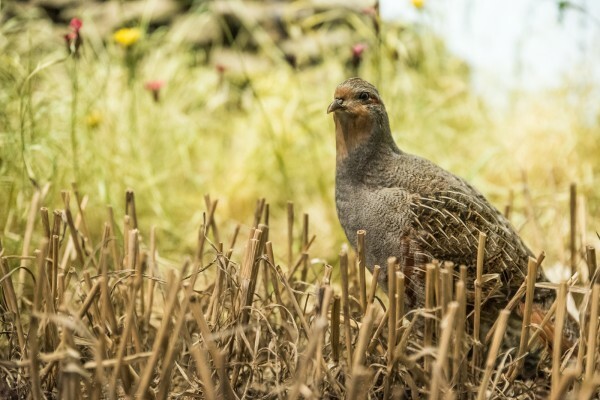 Our captive Grey Partridge rearing programme was a huge success with 150 chicks hatched by both bantams and partridge. Many of these are already released into the wild now. The nature reserve project has already received support from the Avondhu/Blackwater Partnership, the National Association of Regional Game Councils, the Federation of County Cork Gun Clubs, and the Rathcormac Parish Development Fund as well as from many other private supporters. Fundraising for the Corrin Nature Reserve is ongoing, and donations will be most welcome. 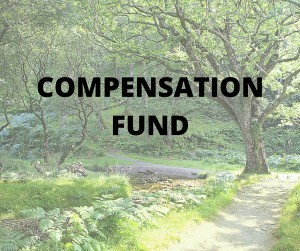 Any donation of €100 or more will be marked by the planting of a hardwood tree in the name of the donor, and donors and their families are invited to visit their adopted tree throughout its lifetime. Donations to the club can be made online here on our website. IBAN; IE26 AIBK 9360 8113 1351 21.